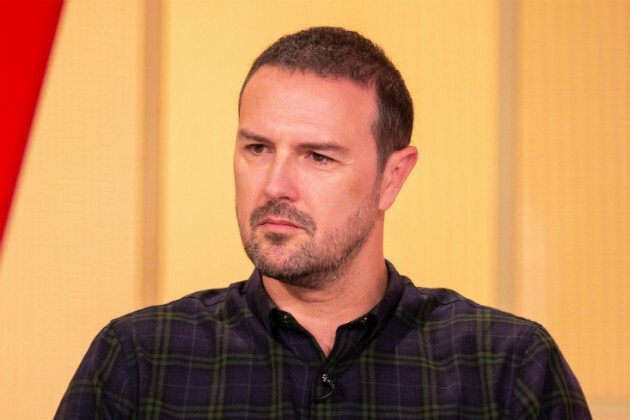 Paddy McGuinness has opened up about the difficulties of bringing up children with autism. The TV presenter and his wife Christine share four-year-old twins Penelope and Leo, as well as two-year-old daughter Felicity, who is also showing signs of the condition. And during an emotional interview, Paddy broke down as he revealed family life can be tough as the parents – who have been married for seven years – “cant do normal things as a couple”. Speaking on John Bishop: In Conversation With, the 44-year-old admitted: “Its very, very, very, very difficult, you know any parent with ­children with any kind of special needs is very difficult. “Some days its a wonder how were still together, me and Christine, because you cant sort of do the normal things that you would as a couple. My babies are growing up so fast! Leo and Penelope have finished their first year at school and Felicity has settled so well into nursery. This time last year I was fighting for the twins EHCP so they would get extra support at school. I still hadnt decided on where to send them and I wasnt feeling confident they were even ready to go. They have surprised me so much and made me proud every day. My superstars are shining brighter than ever. The Take Me Out host then praised his wife for caring for their kids while he works, adding that she was better with the twins. “I think women with children are better than men”, he continued. “This is only my opinion. Might be cos me Mum brought me up. I think maternally, they just take to being a parent quicker than men. Paddy – who plans to launch a TV series on life as a father of autistic children – then wiped away tears and added: “I feel for parents who dont have help or some days it feels like youre drowning and you can never get to the top. It can consume you because you dont see an end to it. This comes after Christine opened up about how proud she is of her three children after their first school year. Taking to Instagram, the 30-year-old wrote: “My babies are growing up so fast! This time last year I was fighting for the twins EHCP so they would get extra support at school. I still hadnt decided on where to send them and I wasnt feeling confident they were even ready to go. “They have surprised me so much and made me proud every day. My superstars are shining brighter than ever. John Bishop In Conversation With…airs Thursday at 10pm on W.
The post Paddy McGuinness breaks down as he opens up about very difficult family life with wife Christine appeared first on Woman Magazine.